Even under the calmest of conditions the infrastructure of low-lying Majuro Atoll is at risk of flooding. 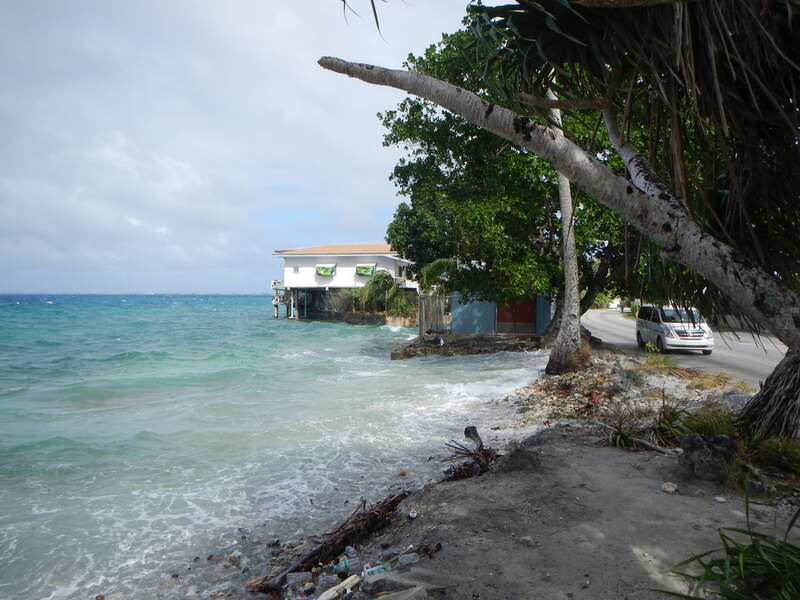 The consequences of rising sea level for the Marshallese inhabitants will be dire. For many island nations in the Pacific Ocean, climate change brings with it several serious threats to their existence. Sea level rise, due to the melting of continental ice sheets and the expansion of sea water as ocean temperatures slowly rise, threatens to drown low-lying islands, such as exist on the coral atolls of the Marshall Islands and French Polynesia. Rising sea surface temperatures and ocean acidification threaten corals; corals that generate the sediment these islands require to remain stable. Finally, changing climate circulation patterns affects the strength, duration, and paths of storms and precipitation events in the Pacific Ocean. This in turn affects both the risk island populations face from extreme storms and the availability of the freshwater needed to sustain those populations. We examine these different components of climate change and attempt to estimate the impact of climate on Pacific islands, and for the world at large. Unfortunately, we can’t just build a time machine and jump ahead 100 years to see how climate patterns have changed over the Pacific. Instead, our colleagues at MIT have constructed global models of atmospheric and ocean circulation that simulate important patterns observed in the climate today. 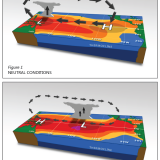 These models, based on physical principles first, can also simulate different scenarios of future climate, such as those presented by the IPCC, to forecast potential patterns in atmospheric and ocean processes, such as the location and magnitude of trade winds, gradients in pressure, temperature, and precipitation, and the nature and probability of future storms. By design, these global models have low spatial resolution: they reveal large-scale climate patterns but don’t accurately resolve, for example, how much rainfall will change over a particular Pacific island and how oceanic currents near that island will alter course. To obtain that information, the large-scale global circulation models are used as input for smaller but finer-scaled models or statistical methods, both of which are termed downscaling. 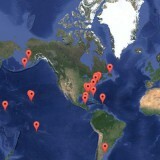 This downscaling approach yields predictions of the direct effects of climate change on a particular locale. For example, we can use these models to determine how waves affecting the coastline of an island will change. With predictions of waves we can determine what the island’s coastline will look like in the future, and whether the island will experience flooding and erosion or manage to naturally keep up with sea level rise. Or, we can look to the skies and apply simulations of atmospheric circulation patterns to determine the impacts a changing climate has on aviation. We hope our research will allow governments and planners to prepare for the future and protect their constituents, as well as populations at large. Currently we are still sifting through the global and a few downscaled atmospheric circulation models, but already we have outlined some effects an altered Pacific climate will bring. For example, 88% of the variability in domestic flight duration for airlines operating in the Pacific is explained by the influence of the El Nino Southern Oscillation and Arctic Oscillation on atmospheric circulation processes. Future climate change is expected to alter circulation patterns such that round-trip flights between Honolulu and the west coast alone may incur millions of dollars of additional fuel costs for airlines annually. Now we are building finer-scale models of coastal circulation to determine how climate change will affect the amount of sediment small Pacific islands will receive in the future. When these models are completed, we will be able to estimate under what conditions these islands will thrive with changing climate or what precautions must be taken to ensure their survival.